Tyumen Waterpark in Russia will feature more than ten Polin waterslides. Russia will soon be home to the world’s largest indoor waterpark, which is due to open next April. Plans for the futuristic Tyumen Waterpark in Zarechny, include large translucent domes overhead to let in the sun with wide expanses of curved glass to hold back glacial gales. 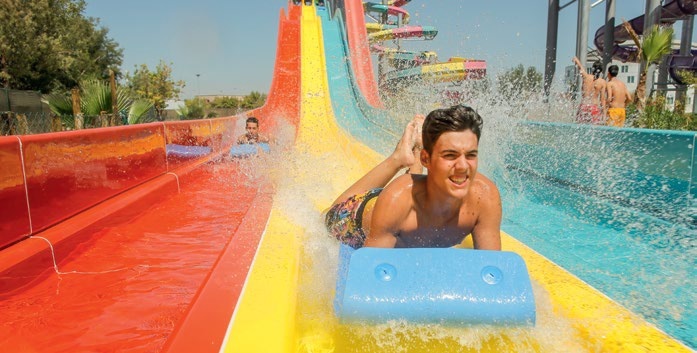 Polin Waterparks will be working with local investment group Sibentel on the 10,000m² facility, which will feature some of Polin’s most popular waterslides, such as the Turbulence Slide, Windigo and Magic Hole. The waterpark will be able to accommodate 5,000 visitors per day and is expected to welcome as many as a million visitors each year. The growing waterpark industry in Russia led Polin Waterparks to open an office in the country several years ago, specifically to manage the development of these type of facilities. Selim Doguoglu, head of the Russian office of Polin Waterparks comments: “Polin is a recognised leader for its innovative and smartly engineered aquatic attractions. “We’ve already built several of the most successful waterpark facilities in the country, and we expect this one in Tyumen will quickly match those. “Being an all-season facility gives it an edge over other entertainment options,” he adds.